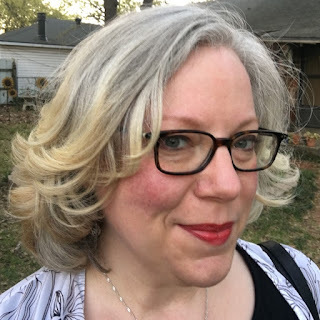 Join me on Sunday, April 21st at 6pm CST over on the Rachel Pilcher Writing Workshops Facebook page for Episode 26: Why Grammar and Punctuation Matters. In this episode, we will discuss grammar and punctuation in your final drafts. This information specifically be helpful if you intend to submit your writing for publication in literary journals, magazines, or book publishers! I'll be sharing some of my own experiences as a writer and publisher when those editorial mistakes have slipped through the cracks. 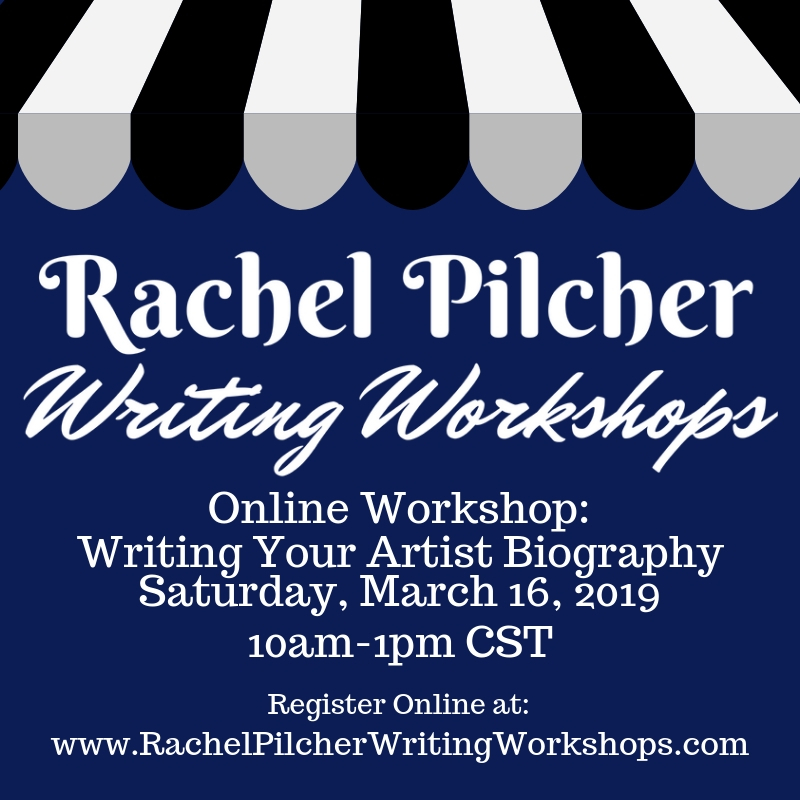 If you don't do Facebook, you can always catch the replay of all episodes over on the Rachel Pilcher Writing Workshops YouTube page. Make sure to click "Subscribe" when you get there so you are alerted every time a new episode is uploaded! As many of you know, I've been teaching monthly online workshops through my business, Rachel Pilcher Writing Workshops. My next workshop is coming up in two weeks! Here is a bit of information about the workshop. I hope you'll join me! The way you represent yourself professionally online is important. Whether it is through your website or on social media, having an online presence is necessary in today’s publishing world. Many publishers will not even look at a manuscript of a writer who doesn’t have some sort of online following. In this workshop, we’ll discuss the opportunities you will have as a writer online, how you can begin to gain an online following, as well as the dos and don’ts of presenting yourself online. *This workshop is geared towards writers, but professionals from other communities are welcome to join in on the fun! Panther City Review #4 Deadline is NEAR! If you weren't aware, I have a publishing company, Sleeping Panther Press. 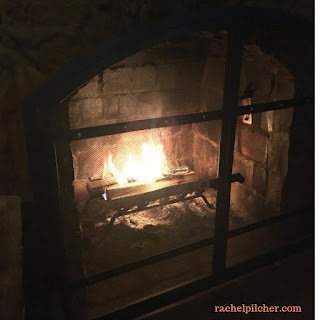 I decided to start this micro-press to showcase local writers (at first, just my critique group!) 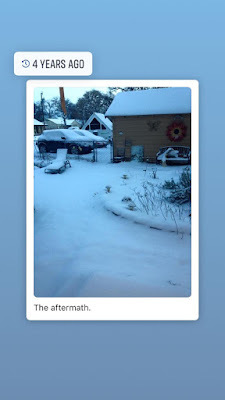 through an annually published literary journal, Panther City Review. Definitely take a moment to check out previous issues, which can be ordered through Amazon, via this link (Issue #3, 2018). 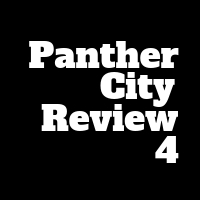 If you are interested in submitting to Panther City Review this year, the deadline for Issue #4 is April 29, 2019 at 11:59PM CST. Facebook Live Coming Up Sunday, April 7th at 6PM CST! Join me on Sunday, April 7th at 6pm CST over on the Rachel Pilcher Writing Workshops Facebook page for Episode 25: The Necessity of Social Media for Writers. In this episode, we will discuss the various benefits (and the downfalls) of participating in social media outlets for writers. I’ve been looking rather studious lately, donning my glasses most days. It’s not that I’ve become anti-contact lens. I love wearing my contacts. It’s that spring has sprung, which means that my eyes have been incredibly itchy and puffy due to all the pollen floating about. It’s covering everything. The car. The patio umbrella. Even my black cat had a sheen of green on his coat for the few hours he was outside with me yesterday. I love my trees and I know that pollen is useful. It just seems worse this year. I’m sure it’s not. That’s just what we always say when we are experiencing something pretty distressing. Sneezing, hacking up junk from down deep in the lungs, attempting to breathe normally—all things that I will not miss when the trees finally leaf out. The best thing about the pollen coverage is that it also means that it is Spring, which is tied with my other favorite season, Autumn. I wonder what it means that my two favorite seasons start with growth and end in dormancy? I look forward to seeing all those plants that decide to come back each year and experience the joy of those that never died off due to our mild winter. Spring in Texas also means crazy weather, so I am not looking forward to the temperatures dipping and rising extremely, or the thunderstorms threatening to drop tornado clouds. When my trees start swaying, I start thinking about how fast I can make it to my bathroom with my dog and cats! The best thing about all that wind and rain—it clears away all the pollen! I have a new online class coming up on Saturday, March 16th: Writing Your Artist Biography. Your artist biography is usually the first thing that a publisher or reader will look at before deciding whether your work is worth reading further. You want to make sure that what you write doesn't turn off those who will most impact you becoming a success. In this workshop, you will be guided through the process of what to include in your artist biography, and most importantly, what not to include. You will then write your biography. By the end of this session, you will have a biography ready to share with the publishing and reading world. My car told me it was 22° F when I started it up this morning. It is obviously Third Winter around here. I’d think this was a strange anomaly for it to be this cold one week before Spring Break, but I had a Facebook reminder this morning that exactly four years ago we had about five inches of snow. No precipitation this morning, however there was a busted pipe near one of the oldest streets in the city on my way to work this morning. It made for a nice, slick fishtail turn when I made my way to school. Scared me terribly. As one of my students said this morning, “It should be criminal for it to be this cold in America, especially Texas, and not snow.” He was right. There is nothing fun about freezing your buns off while waiting for the car to warm up. We are not completely used to the idea of “pre-warming” our cars here, so everyone ends up being late on days when either it’s very cold or there is ice on the windshield. It is agreed this morning that we need Third Spring to come back ASAP. We may get our wish—It’s supposed to warm up to 72° F by Friday.